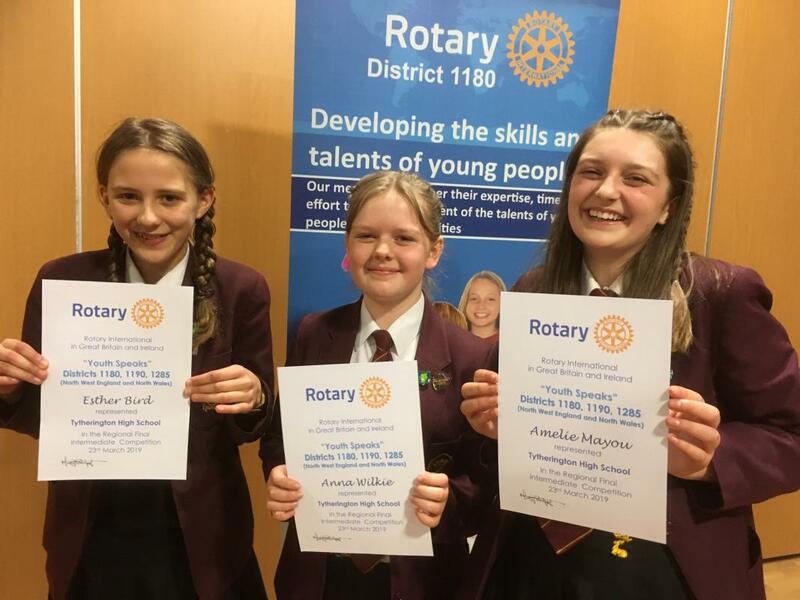 Following their success in the Rotary District Intermediate Youth Speaks Final in February, they have now won the Regional Final which was held at Glyndwr University in Wrexham. Teacher Mrs Burke said: “The team performed brilliantly, and I am very proud of them. We had a few challenges running up to the Regional Final, including illness among the team and last minute changes to the presentation,, but the girls were determined to give it their all, which they did on the day. All three performed well as individuals, and they were complimented on their team work by the judges. We are very excited to be in the National Finals – it is a great achievement by our students”.